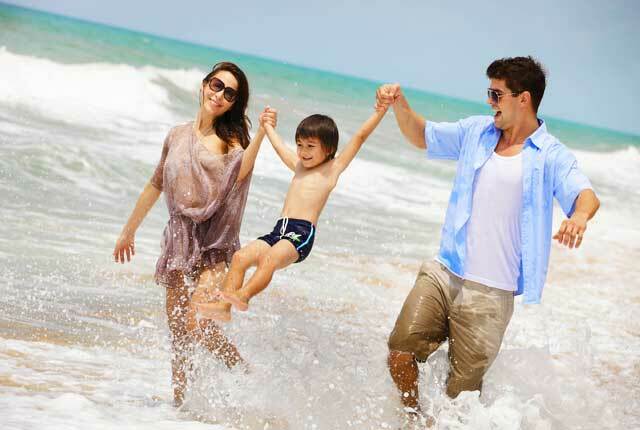 Choosing the best destination for family vacation in India is certainly not an easy task. Thanks to the diversity and multitude of options available to the discerning travelers. There are beaches, architectural wonders, adventure, culture and fun experiences that are essential elements of your ideal family vacation ideas. So, why wait further? Here’s a list of best places to visit in India for a family vacation in India 2019. With scores of museums, amusement parks, innumerable monuments, scenic gardens and unlimited scope for fun, New Delhi is a must-visit. The capital of India definitely scores big when we talk about family holiday destinations in India. New Delhi is home to three World Heritage Sites which are worth-witnessing during your family holidays here. Also, Lodhi Garden is one of the best places to go picnicking with kids and families. Furthermore, you can ride a train with your kids in the National Rail Museum. Or else, go for a heritage walk with Salaam Baalak Trust. Bargaining while shopping at one of the many bazaars in Delhi is yet another engaging activity. Then there is a museum of toilets too which can definitely amuse you and your family. Yes, the Sulabh International Museum of toilets will surely let you have a fun time with family. National Zoological Park with its huge collection of birds and animals is yet another place in Delhi where your family will definitely enjoy. The Kingdom of Dreams unarguably outstands amongst the rest of the best places to go with kids. When it comes to best family vacation destinations in India, Rajasthan probably tops the charts. The ‘Land of Maharajas’ leaves other places behind in terms of foreign arrivals as well as domestic travelers. With its glorious princely past, rich cultural heritage and mighty forts and palaces, Rajasthan is definitely one of the top tourist destinations in India. Some of the best places to visit in Rajasthan are the ‘Pink City’ Jaipur, Ranthambore National Park, Jaisalmer, Jodhpur, Pushkar and Udaipur. Pacify the adrenalin rush with camel safaris in the sand dunes near Jodhpur and Jaisalmer and wildlife safari in Ranthambore. 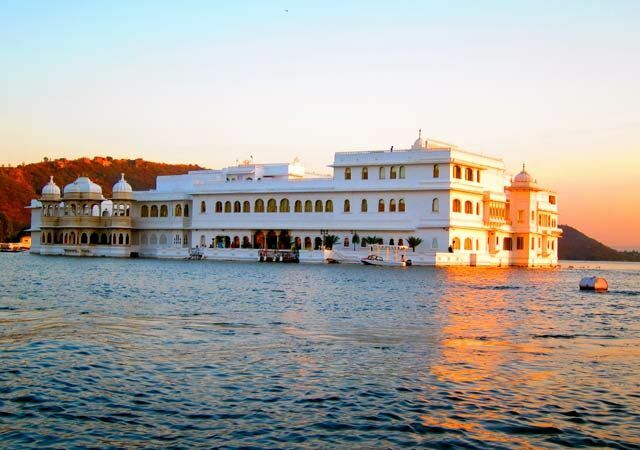 Moreover, visiting the holy town of Pushkar along with Ajmer offers the desired bliss. Owing to the spectacular Pushkar Camel Fair, the town ranks amongst the best holiday destinations in November. In addition, there are plenty of activities that keep even the fussiest of travelers on their toes. Each city in Rajasthan houses spectacular forts and palaces, and elegant havelis. Besides, Rajasthan is widely renowned for its shopping scene as well as cuisines and folk arts. All these and much more are the highlights of family vacations in Rajasthan. Nowadays, activities like flying fox, hot air balloon rides and elephant safari are also becoming popular family sports in various locations across Rajasthan. And not to forget some of the most vibrant festivals in Rajasthan that are held across the state from time to time. Of course, millions of tourists from around the globe love to partake in the festivities. If you want to enjoy beach holidays in India, then Goa is definitely the place to be at. The small Indian state is world famous for its palm-fringed beaches, lively nightlife and parties. Moreover, the landscape of this place makes it one of the best family vacation destinations. Therefore, vacationers from all around the world throng the place every year. Tourists can either relax on a beautiful beach or indulge in some exciting water sports. The charm of sun, sand and sea will never fail to lure you. Some of the most visited beaches of Goa include Anjuna Beach, Calangute Beach and Baga Beach. Above all, Goa awestruck you with stunning scenes. Also, a large part of this state is still untouched by masses. So, you can have a great vacation here. 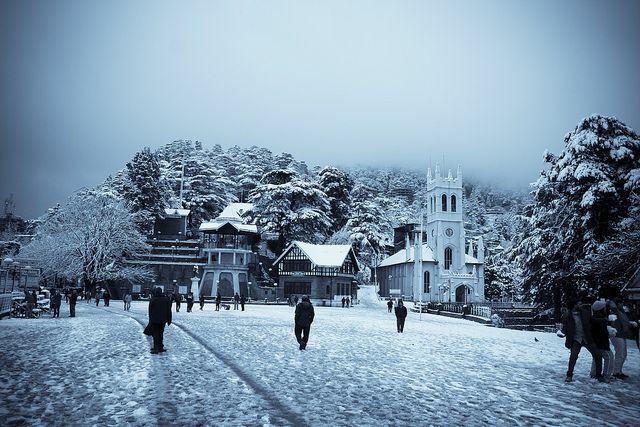 Once the ‘Summer Capital of the British’, Shimla is one of the most visited hill stations of Himachal Pradesh. The scenic place is also ideal to plan a summer vacation in India with family. The city offers many pleasures to its visitors. For this reason, it is a much sought after destination for family holidays. The Mall Road in Shimla is the main shopping center. Here, you can enjoy shopping in Malls as well as in local markets. A leisurely stroll through the Mall Road with your family is highly recommended. The most famous attractions in Shimla include Christ Church, Jakhu temple, Viceregal Lodge and Dorje Drag Monastery etc. Interestingly, all these are also fun places to go with kids. 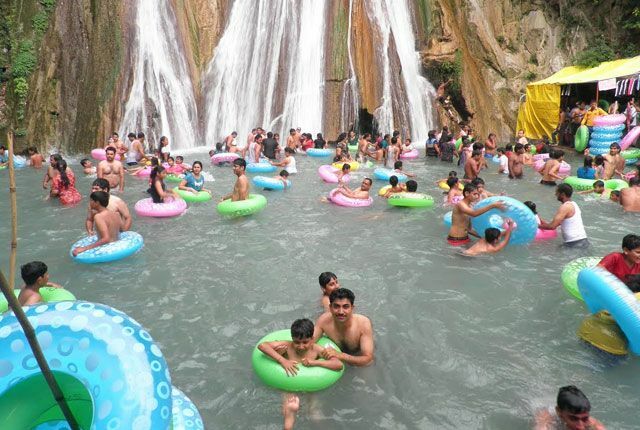 Another famous tourist attraction near Shimla is Chadwick Waterfalls. A trip to this enthralling waterfall, which is located just a few kilometers away, offers a perfect closure to your family holidays. An excursion to Kufri for snow adventure is yet another activity that is very popular among families who choose Shimla as their holiday destination. Located in Idduki district of Kerala, Munnar is an enchanting hill station. 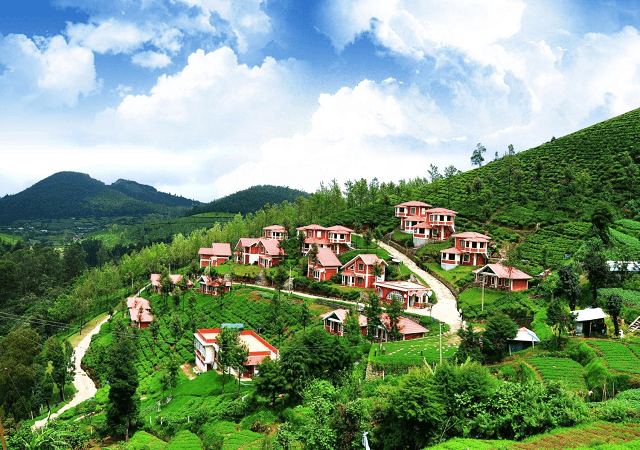 The hill station is famed for its natural scenic beauty, sprawling lush tea farms and tranquil ambiance. 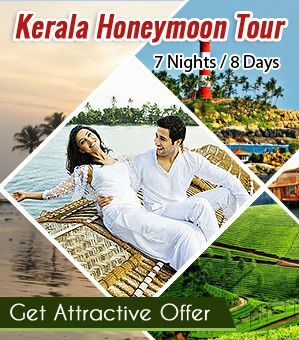 In fact, all these make it a perfect place to go for family holidays in Kerala. Moreover, Munnar hill station is also famous among adventure enthusiasts. If you are planning a summer vacation in India with family then do consider Munnar. Here, you can indulge in paragliding, trekking, jungle safaris, boating and cycling. Not to miss a visit to the tea factory in Munnar. The excursion will familiarize you with the tea processing steps from beginning till the end. Some of the nearby destinations from Munnar are Eravikulam National Park, Mattupetty dam, Anamudi peak and Tea Museum etc. Ladakh is a land of high passes, Buddhist monasteries and small hamlets. It is one of the best destinations to visit in India from April to mid-May. Both adventure and nature lovers come to this place to adore its scenic beauty. Obviously, trying out some thrilling adventures which includes mountain biking is surely one of the best things to do in Ladakh. Lately, it is also becoming one of the popular destinations for family holidays in India. Being the capital, Leh is the most important place to visit in Ladakh. Settled at an altitude up to 3524 m, the city is best-known for its Buddhist monuments along with monasteries. 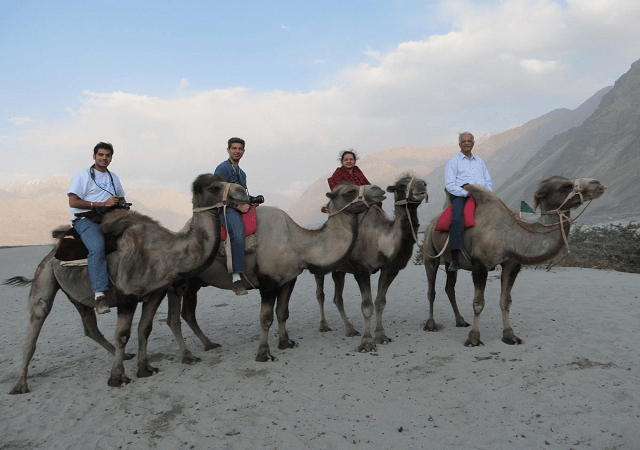 Mountain Climbing, Jeep Safari tours, trekking, Bactrian camel rides and Yak Safaris are some of the adventures that one should definitely try out, when in Leh. The important attractions to visit in Ladakh include Khardung La, Samstanling Gompa, Leh Palace, Spituk Monastery and Nubra Valley. Pangong Tso, where the shooting of the movie 3 Idiots took place and Tso Moriri are the two spectacular lakes that should be on your bucket list if you are looking for best family vacation destinations. Manali in Himachal is also known for some of the most famous adventure activities namely, paragliding, mountaineering, river rafting, trekking, water crossing and skiing etc. 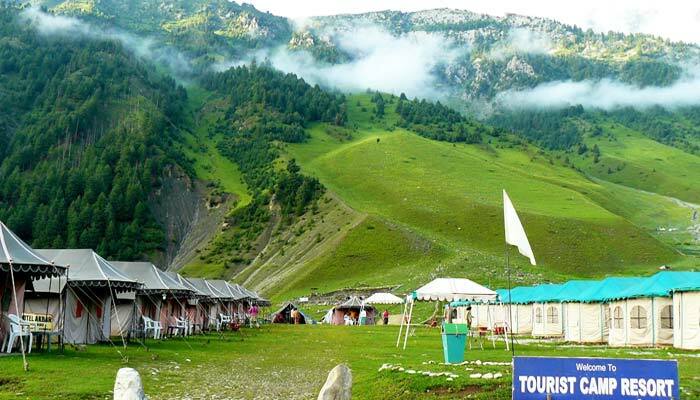 Excursions to Solang Valley and Rohtang Pass near Manali is something most of the vacationers list on their itinerary. 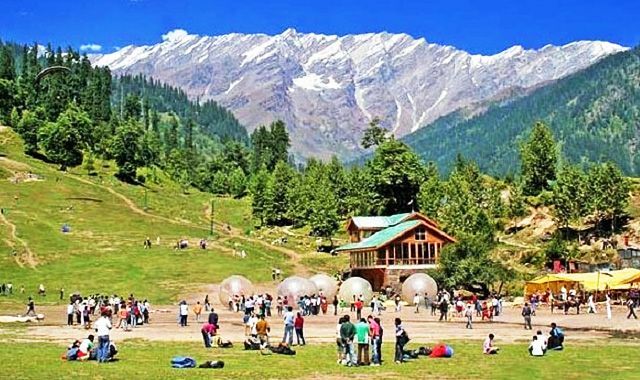 Solang is popular for family adventure activities such as zorbing and tandem paragliding whereas Rohtang enjoys fame for snow sports and adventure. 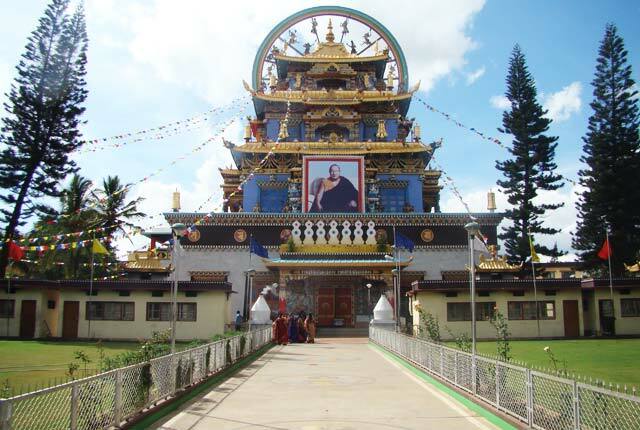 Some of the popular temples in Manali are Hidimba Devi Temple, Manu Temple and Vashisth Temple. With so much ay hand, one can definitely think of family-friendly vacations in India. Popular for its natural beauty, Darjeeling is a beautiful hill station in West Bengal. Located at an elevation of 2050 meter, the place offers beautiful views of the Himalayas, particularly Kanchenjunga – the world’s third highest mountain peak. 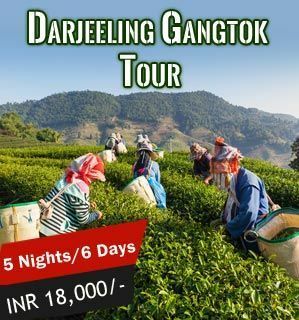 People come to Darjeeling to spend their summer vacation in India with family amidst scenic beauty and lush tea gardens. But, the hill station can be visited throughout the year because of its pleasant weather. A toy train run by Darjeeling Himalayan Railway is the pride of the town. The train which is also a UNESCO World Heritage Site takes passengers from New Jalpaiguri to Darjeeling across the picture-perfect landscape. The joyride is a must while on kid-friendly vacations. Another key point to note about the train is that it has been featured in many Bollywood and Hollywood movies. 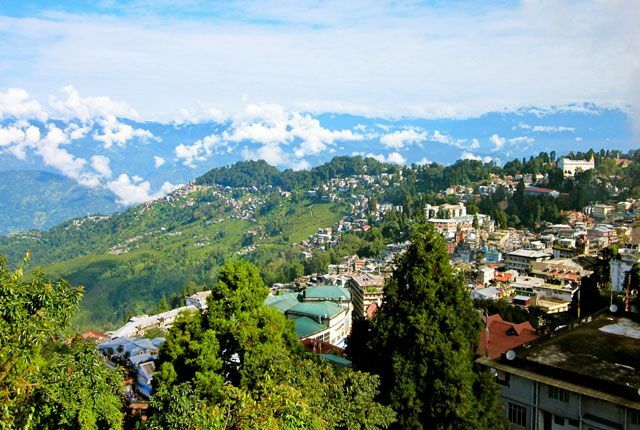 The Tiger Hill – known to offer great sunrise views, the Ghoom Monastery– the oldest monastery in Darjeeling and Lloyd’s Botanical Garden, which is known to house exotic flora and fauna are some of the top tourist attractions here. A cable Car ride is yet another activity to enjoy with family in Darjeeling and is quite popular amongst travelers. This is the star attraction of Darjeeling and takes you to Rangit Valley from Darjeeling. If you are looking to spend some good time with your family, Nainital will surely give you some meticulous monuments. The scenic hill town features spectacular turquoise lake, twittering of birds, pleasantly balmy evenings and lush environs. All this and much more make the place one of the best kid-friendly vacation spots. Owing to a continuous influx of tourists, the hill station is scattered with abundant modes of accommodation. 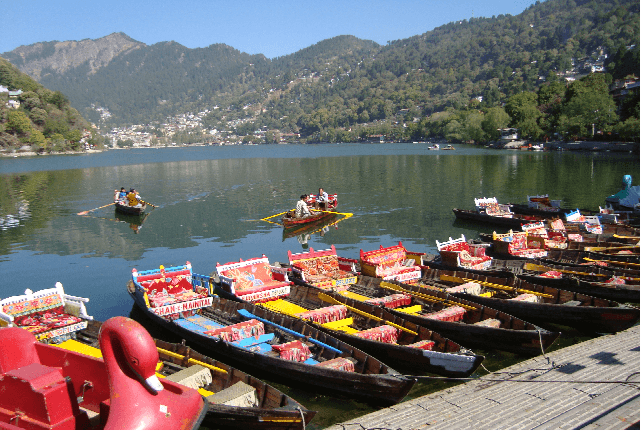 In a nutshell, Nainital will be a perfect destination to plan a summer vacation in India with family or friends. The beautiful weekend getaway from Delhi can be explored throughout the year. 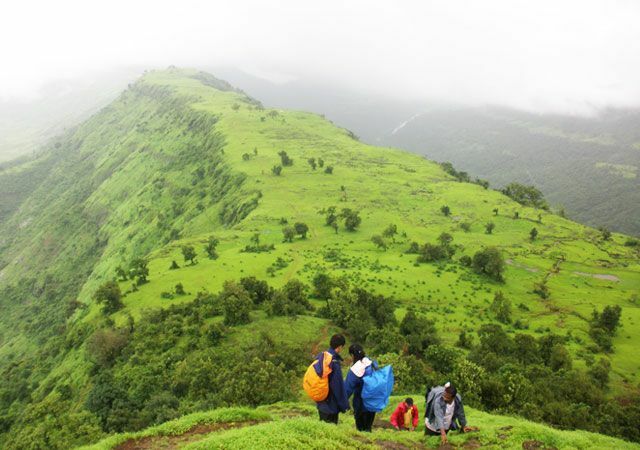 Settled in the base of Sahyadri hills, Matheran is a wonderful hill station in Maharashtra. A two hours’ drive from Mumbai takes you to this one of the best places to visit with kids. 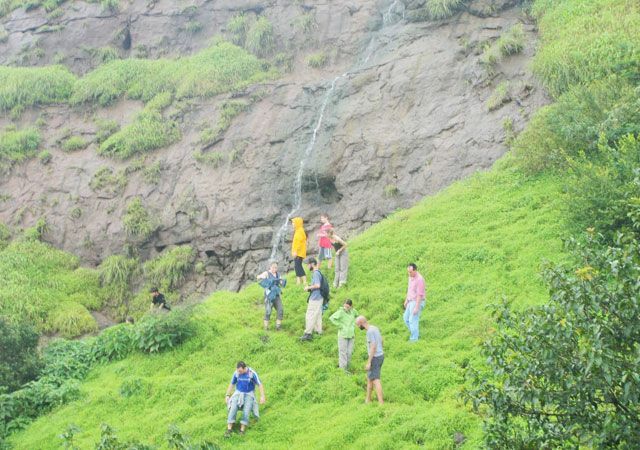 Perched 803 m above the sea level, the main tourist attractions in Matheran are its 38 striking peak points. You can savor breathtaking views of the picturesque surroundings from here. Thus, some of the notable peak points in Matheran that you shouldn’t miss are Panorama Point, King George Point, Louisa Point and Echo Point. Quite similar to the one in Darjeeling, a toy train in Matheran presents awe-inspiring views of this attractive location. Reason like these and more make it one of the best holiday destinations in October. A small hill station, Lonavala in Maharashtra is situated 2041 ft above the sea level. The place offers gorgeous views of the Deccan plateau and the Konkan coast, both on the opposite sides. The striking hill station is perfect for those who are looking for some serene moments, away from the hustle-bustle of city life. Furthermore, the lush velvet meadows and pristine surroundings make Lonavala a wonderland for nature lovers. Also popular for its sweet candy, Chikki, the hill town lures tourists from all around. Other points of attraction are Karla Caves, Bhaja Caves and Lohagad Fort. Lonavala is a popular weekend getaway near Mumbai as well as near Pune. Recently, hot air ballooning has become a very popular sport in Lonavala and is enjoyed by families coming for vacation here. Located in Tamil Nadu, Ooty is known for its spectacular beauty. A famous destination to visit with family in South India, the place has something for everyone. The famous hill station of Tamil Nadu allows backpackers and family holidaymakers to soak in the true spirit of holidays. As a matter of fact, honeymooners also find the place blissfull beyond description. The place lets you enjoy complete serenity, away from chaotic cities. Additionally, there are innumerable things that draw travelers from far-off places. 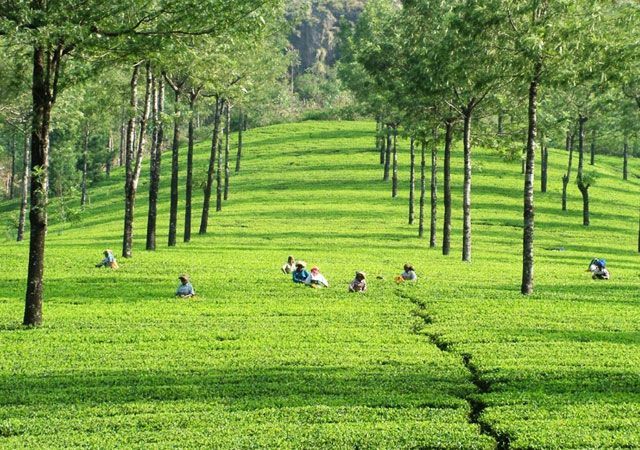 Some of the famous attractions to visit in Ooty are Botanical Garden, Ooty Lake, Moyar Waterfalls, Marlimund Lake and Doddabetta Peak. All these kid-friendly vacation spots urge you to visit here often. Referred to as ‘Princess of hill stations’, Kodaikanal is one of the best destinations to go for family holidays in Tamil Nadu. Settled at an altitude 7200 ft above the sea level, the exotic hill station is blessed with awe-inspiring natural beauty. Above all, the pleasant weather adds to its ethereal charm and make it look even more fascinating. 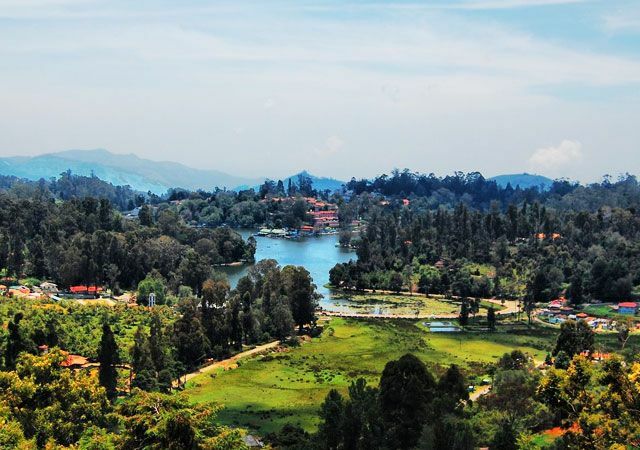 The major tourist spots in Kodaikanal which are also the best places to go with kids are Pine forests, Green valley viewpoint and Kodai Lake. Also, Echo point and Silver cascade viewpoint should not be missed during your trip to Kodaikanal. Reckoned as one of the few remaining evergreen forests of India, Mahabaleshwar is a popular hill station. Set amid the picturesque valleys, Mahabaleshwar promises to sway your heart at once. Add to that the soothing weather which offers complete relaxation to the weary souls. This hill station is not only one of the top family vacations spots but also is one of the famous honeymoon destinations in India. Some of the famous tourist sites to visit in Mahabaleshwar are Panchaganga Temple and Mahabaleshwar Temple. 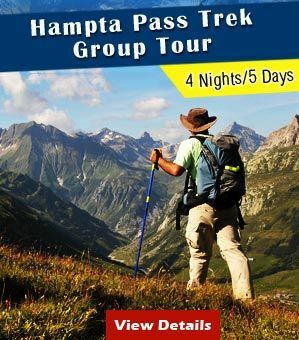 Another key point is that the place is a popular trekking destination. For this reason, trekkers from all over the country visit this hill station to experience trekking at its best. 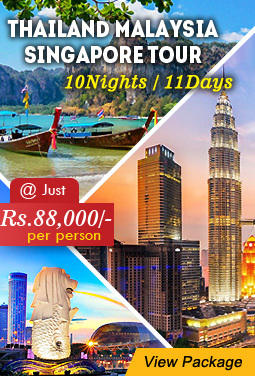 The place houses a number of tourist attractions like Dhobi waterfalls, Helen’s Point, Pratapgarh Fort, Sunset Point, Elephant’s Head Point and Wilson’s Point. 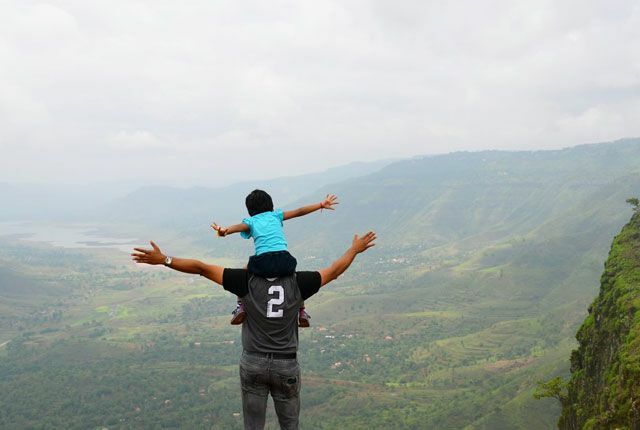 No wonder, why Mahabaleshwar is included amongst the best family vacation destinations. A captivating hill station, Mussoorie in tucked beautifully in Garhwal region of Uttarakhand. Located at the elevation of 1880 mtr above sea level, the hills station lies very near to Delhi. Mussoorie is a well-known destination for family holidays in India. Tourist attractions are Cloud’s End – a popular place in Mussoorie, Kempty Falls – a beautiful waterfall, Gun Hill– offers captivating views of the snow-capped Himalayas and Jawala Devi Temple – a popular religious center. The cool and pleasant weather of Mussoorie allures visitors from all over the country to spend their summer vacations in India with family. Also, some of the best things to do in Mussoorie keep the entire family on toes. A picturesque hill station to visit in South India, Coorg is renowned worldwide as one of the best family vacation destinations. The town is praised everywhere for its green and natural environment. The town is often dubbed as the ‘Scotland of India’. It was the British planter community who affectionately called it by that name. Dense green forests can be seen all around where you can spot a large variety of diverse floral and faunal species. 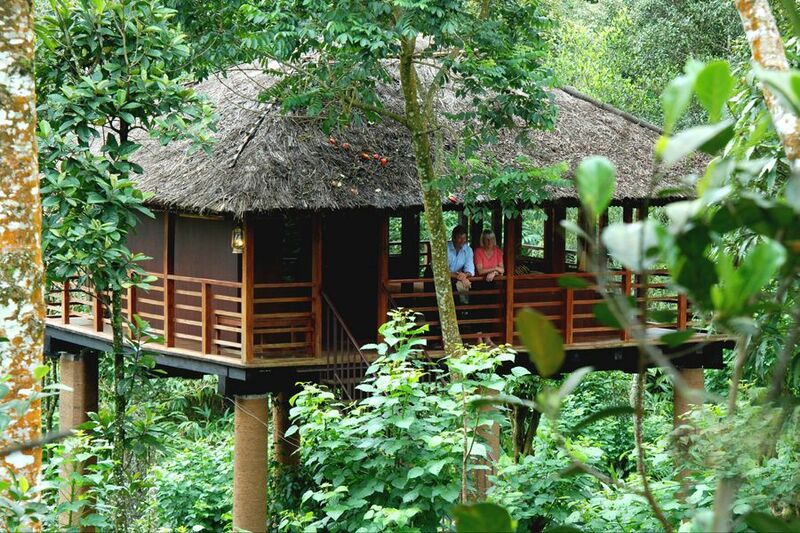 Coorg is indeed a paradise for adventure lovers. The destination offers immense opportunities for rafting, trekking, camping and angling etc. Some attractions to visit in Coorg include Dubare Elephant Camp, Nagarhole National Park, Raja’s Seat, Abbey Falls, Omkareshwara Temple, Talacauvery and Cauvery Nisargadhama. Many of them are the best places to visit with kids. Paragliding in Bir Billing, Himachal Pradesh. 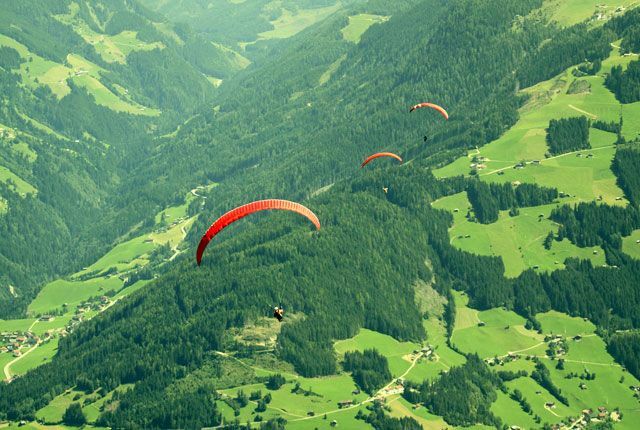 Counted amongst the best destinations for Paragliding in India, Bir Billing is a gem of Himachal Pradesh. Set at the distance of 42 km from Palampur, Bir and Billing are known for Paragliding and some Buddhist monasteries. Billing is located at a distance of 14 km from Bir. Billing offers an arena of 200 km for high-altitude and cross-country flying. For this reason, it is considered the best place for tandem paragliding in India. When you visit Bir Billing with family, do explore Chokling Gompa which is truly spectacular. Nakki Lake in Mount Abu is famous for Boating. Known for its lush greenery, exotic wildlife and sparkling water bodies, Mount Abu is a popular family destination in Rajasthan. The place boasts of being located on the highest peak in the Aravalli Range of Rajasthan. People from all over the world visit this destination to beat the heat during summer season. The only hill station in Rajasthan is a perfect place to relax and rejuvenate while enjoying the pleasant weather. The surrounding greenery adds to the soothing ambiance of Mount Abu and makes it a perfect destination to go with family. 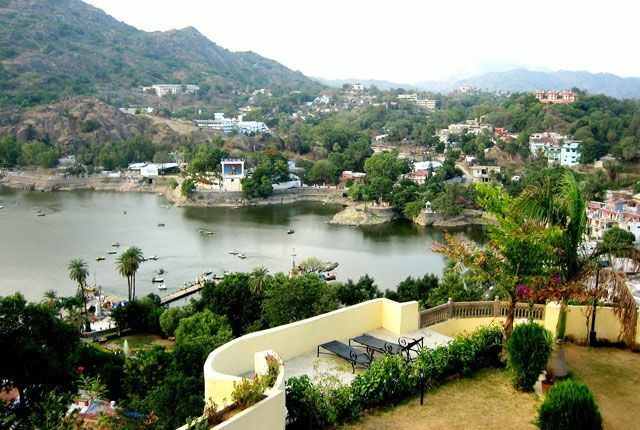 Mount Abu ranks amongst the best holiday destinations in January. The place has much to offer when it comes to attractions. Nakki Lake is the most popular tourist attraction in Mount Abu. Set at a beautiful location, the lake features picturesque hills in the backdrop. Sunset Point is another attraction which offers great views of the beautiful hills. There are many other sites to visit like Adhar Devi Temple, Guru Shikhar Peak, Mount Abu Wildlife Sanctuary, Toad Rock and Doodh Baori etc. A glimpse of Panchmarhi Hill Station in Madhya Pradesh. An alluring hill station, Pachmarhi is located in Madhya Pradesh. Also known as “Satpura Ki Rani”, the place is truly blessed with the gift of natural beauty and serenity. Discovered back in 1857 by Captain James Forsyth, now Pachmarhi has become one of the most famous hill stations in central India. Home to green valleys, cascading waterfalls, dense forests, etc. Pachmarhi is surely one of the best holiday destinations to visit with kids. Other attractions of Pachmarhi are Satpura National Park, Jata Shankar cave, and Big Falls. 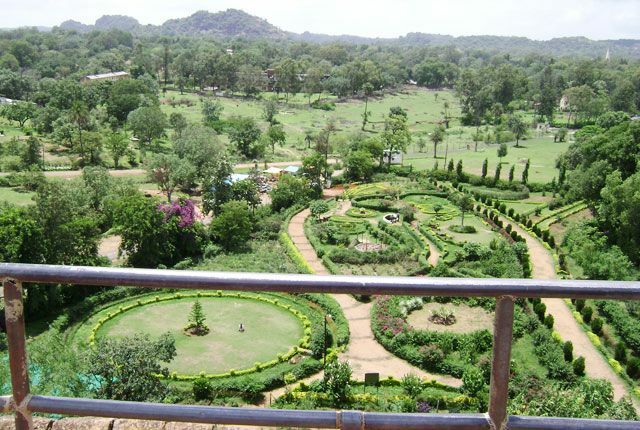 Pachmarhi, one of the best family holiday destinations has something for every traveler. It further offers an opportunity to indulge in activities like parasailing, trekking and rock climbing to all the visitors. One of the best tourist destinations in Kashmir Valley, Srinagar is home to some magnificent gardens and lakes. It is a bewitchingly beautiful place and also a perfect place for summer vacation in north India. The mere thought of Srinagar brings to mind the images of the Mughal Gardens and spectacular lake. Tourist attractions in Srinagar offer a positive effect on your mind, body and soul. In Srinagar, you can go for shopping an choose from a huge variety of woolens, dry fruits etc. Then, there are beautiful Mughal Gardens that are a must-visit during your family vacation in Srinagar. Nishat Bagh, Chasme Shahi and Shalimar Bagh are 3 of the most spectacular Mughal gardens that add to the charm of the already beautiful place. Shikara ride on Dal Lake is yet another activity that you should undertake during your family holiday in Srinagar. Temple of Shankaracharya and Hazrat Bal are the two most important religious sites that tourists love to visit. The search for the best place to spend quality time with family and kids definitely ends at Jaipur. Hailed as the ‘Pink City’, the destination truly astounding with many of its spectacular forts and palaces. Besides, hidden corridors, flamboyant doorways and lavish courtyards are enough to make your children inquisitive. Top tourist attractions in Jaipur are City Palace, Jantar Mantar (a UNESCO World Heritage Site), Nahargarh Fort and Chokhi Dhani. An elephant ride to Amber Fort is a must as it completes your family holidays in India. Further, you can head to Birla Mandir and Hawa Mahal to listen to interesting legends. This is just a gist of the city painted in pink. The actual destination is much more elaborate than this. Home to the famous ‘Taj Mahal’, Agra offers an exciting family trip for a lifetime. Gift your family some of the fun-filled moments by taking a boat ride on River Yamuna while marveling at the iconic monument. The charm of the kid-friendly destination is so much so that it appears on the bucket list of every traveler. Apart from Taj Mahal, the city also boasts of Agra Fort, Tomb of Itimad-Ud-Daulah and so much more. The Kinari Bazaar is the perfect place to fulfill your shopping spree. Attending Mohabbat – the Taj Show is yet another attraction which you must include on your itinerary. Making your own Taj Mahal will surely appeal to almost every member of your family. Heaven for beach lovers, the Andaman and Nicobar Islands are blissful beyond description. The stunning archipelago offers a pool of activities for you and your family. Take your kids to the Cellular Jail and attend the mesmerizing Light and Sound Show. Show your family the exotic marine world by Scuba Diving, Andaman is famous for. Apart from scuba divers, the beautiful archipelago welcomes honeymooners, holidaymakers and avid travelers alike. A number of attractions here are Havelock Island, Ross Island, Elephant Beach, Samudrika Naval Marine Museum and Rajiv Gandhi Watersports Complex. Cruising over azure waters, walking on the soft sands, watching the stunning sunset views and sipping on the tender coconut water. 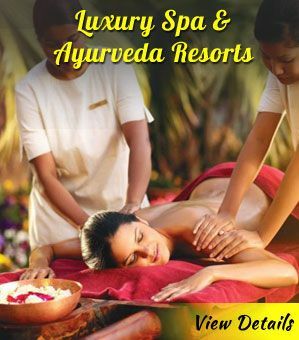 What else do you want for relaxing family holidays in India? Although serene but Rishikesh lures even the adventure lovers. The spiritual vibe of the town surely relaxes the mind, body and soul. But, the gushing river challenges the daredevil in you. River rafting in Rishikesh is equally popular as the ashrams in the town. Recently, the introduction of Bungee Jumping has proved to be an icing on the cake. Therefore, adventure lovers venture here to feel the adrenaline rush. The spectacular Ganga Aarti, Neelkanth Mahadev Temple, Laxman Jhula, the Beatles Ashram are the major attractions in Rishikesh. Titled as the ‘Yoga Capital of India’, the holy town remains thronged with travelers from all around the world. The International Yoga Festival held at the Parmarth Niketan Ashram receives the huge footfall. Indeed practicing yoga and meditation along the banks of River Ganga can soothe the senses. Nestled amidst the expansive Thar Desert, Jaisalmer is a sparkling gem of Rajasthan. Dubbed as the ‘Golden City’, the destinations stand out amongst the rest of family-friendly places in India. The rich culture, heritage, unique traditions along with breathtakingly beautiful havelis make the city even more special. Above all, the stunning Sam Sand Dunes cast a spell. Partaking in adventure sports, in addition to camping, makes raises the fun quotient. Your Rajasthan trip is surely incomplete without sightseeing of the Jaisalmer Fort and boating on Gadi Sagar Lake. Perched on a hill, the huge fort overlooks the sun-kissed houses. Paramotoring, Parasailing, Dune Bashing and Quad Biking are worth-trying. All these and much more make Jaisalmer a perfect getaway to delight in matchless experiences with family and friends. Famous for one-horned rhinoceros, the Kaziranga National Park is unarguably fascinating as well as thrilling. The sights and sounds of this park make it one of the best destinations for family vacations in India. Cradled between Nagaon and Golaghat in Assam, the park is a UNESCO World Heritage Site. There is no other place better than Kaziranga to plan enthralling wildlife holidays in India. Embark on the Jeep Safari and Elephant Safari to enjoy the best of the park. Apart from the one-horned rhinos, Hoolock Gibbon, Leopard, Sloth Bear, etc. call the park their home. Besides, you spot a number of migratory birds here. Take your family and friends at this place where man meets with nature which unwinds its pristine forms. Kaziranga promises experiences that won’t forget ever. These are just a few! The list of best family holiday destinations in India is quite elaborate. Vishal Chauhan is a procrastinator and a self appointed philosopher who likes to pen his randomly awesome thoughts. Although his chief interests are travel and health, Vishal is an expert commentator on Kashmir tourism and has a thing for mountains. Really,These are the Best places for enjoying with family and friends. I appreciate your research and I will be waiting for your further updates. Thanks for sharing such and informative blog. Thanks for the great write up about the best destination for family vacations. Really, these are the best places for enjoying with family and friends. Pictures are very inspirational and can inspire anyone to visit there. Nice destination you share for family vacation in India. 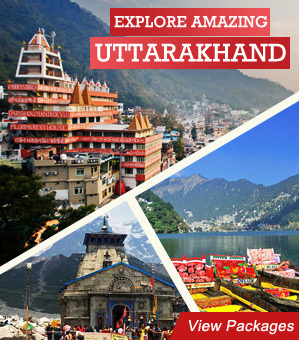 Uttarakhand is my favorite place for family vacation. Your blog is very help for family vacation in India destination. This vacation we are going to ooty. Your blog information is very useful for me. Thanks a lot for this beauty Enjoying article with me. I appreciate it very much! Hello. Love your blog. These places are really best destination for family vacation. Last year we went to Srinagar on vacation and we hire a travel agent for this. We enjoyed a lot there. 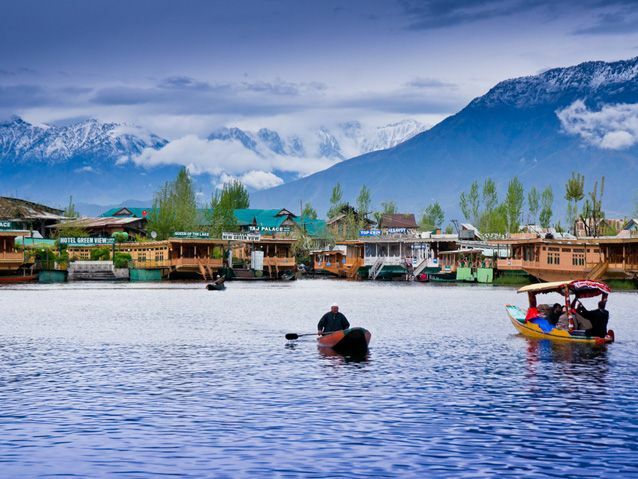 In Srinagar you will forget all your worries and tensions and you will feel tranquil and calm. Thanks for such post.. It is so impressive!! Such a nice article. Thanks for sharing your information. I appreciate your research and I will be waiting for your further updates. 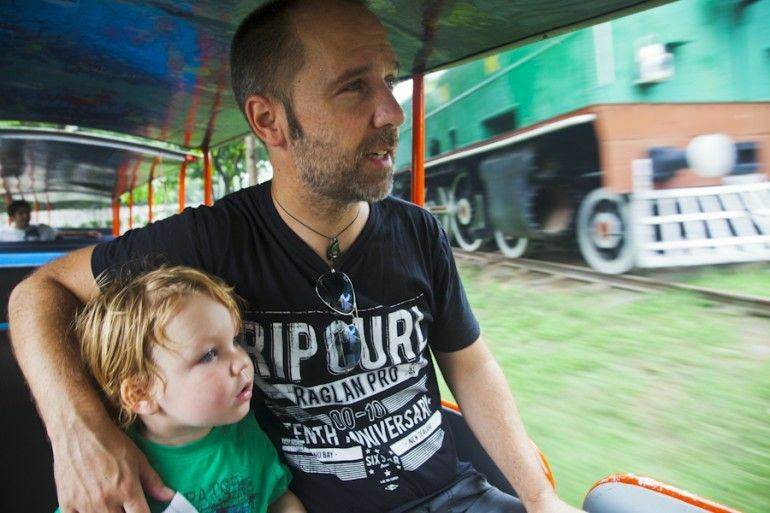 Thank you for sharing this amazing blog, lovely work from families who travel with kids. I am already follow some of these blogs, good to know there are much more. Really, these are the best places for enjoying with family and friends. Pictures are very inspirational and can inspire anyone to visit there. 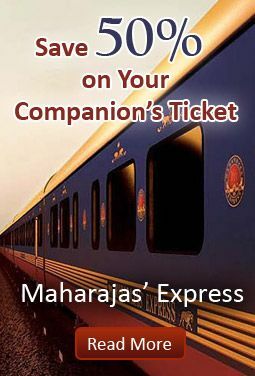 I am planning a trip with the family for Darjeeling and this information is going to be very useful to me. Definitely a good list of some of the best places in India. Glad that you liked our post. Follow our blog for more post on India travel & tourism. Fantastic blog you got here,I enjoyed reading some of your posts. I have the Extra Best Holiday Destinations. It is a my dream place to visit and after reading you blog my willingness to go Darjeeling is increasing so much . i must try to go Darjeeling as much soon as possible. thanks for sharing us that type of information. Quiet impressive and breifly explained about the selective family vacation destination. This website has really helped a lot of people plan their vacations and trips to other places. The offers and discount that this site give is not given on any other site. I like it a lot. Great Post! These all are really the best options for vacations in India. Just want to add one one location – Nainital. Great for family vacations. Welcome your suggestion Mr. Amar Patil. Now you can check i have updated as you suggested. 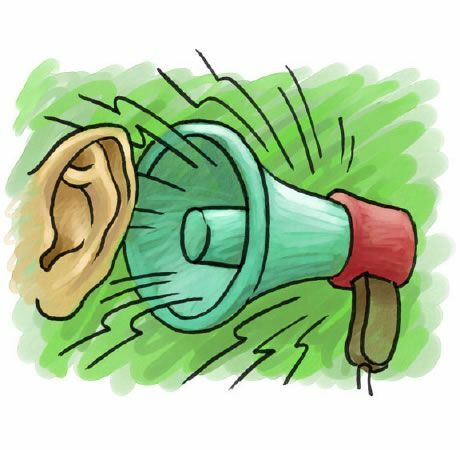 I really like that you have read comments on your blog and updated your content really appreciable there are very rare people who read the comments on a blog. Great article and beautiful pictures. These are the best destinations to enjoy with family and colleagues. Really,These are the Best places for enjoying with family and friends.